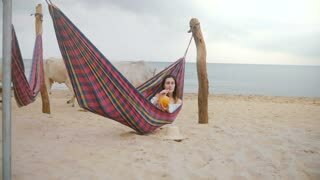 Search Results for "young cow"
Happy young tourist woman lying in beach hammock on sea coast with fancy fruit cocktail while holy white cows pass by. 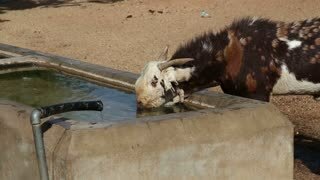 Young cow drinking water from outdoors washbasin at field in Jodhpur. 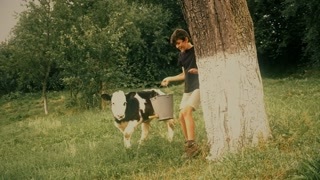 Young farm worker stroking a cow in a cowshed. Many cows in the hangar with metal floors on a dairy farm. Dairy young cows in the barn.Black and white spotted cows on the cowshed eating through fences in farm. 1950s: White horse eats grass next to a tree. Adult cow licks young cow. Chickens eat. Sheep move. Wheat moves in the wind. Many cows lying in the hangar on a dairy farm.Black young cows eating in a stable, looking happy. Woman's hand feeds baby calf. 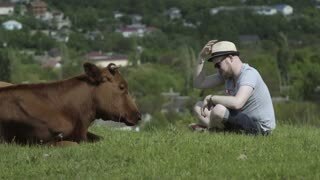 Young cow licks hand. 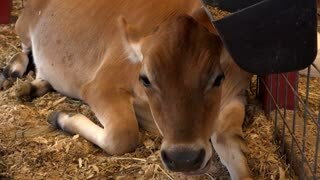 Calf eats out of woman's hand. Long tongue of calf. 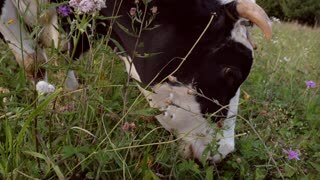 Close up of young cow eating grass. A young cow lies on the grass on a cloudy summer morning. A herd of young cows and heifers grazing in pasture of grass on a beautiful sunny morning. 4K Young cow standing alone out in the field. No people. Young cow with bell around the neck grazing on grass looks into camera and has a bowel movement. Small buffalo poops while walking.